I work in a large fast moving consumer goods company, and we have very minimal budget versus our competitors who are multinationals. My boss asked me to do a viral marketing campaign as he has been hearing it done successfully by many brands, and wants me to experiment. Currently, we do not have a brand website, and our Facebook page is just a little less than 100,000 likes. My boss wants me to do viral for immediate and massive brand awareness for a new brand we are bringing in. Do you think we are on the right path? Yes and no. Your boss is correct in saying that viral marketing can create massive brand awareness. If you look at the records of viral marketing cases, the Cebu Pacific dancing flight attendants or the Coca Cola OFW video were able to generate massive brand appeal and word of mouth. On your end, new products like how Magnum Ice Cream was introduced Philippines, or the Christopher Lao video for BPI Auto Loans, were marketing hits that landed not only in the walls and feeds of Facebook and Twitter, but also able to help the brand achieving its brand objectives. However, one has to note that viral marketing is not as easy as it looks. First, one has to ensure that the brand has a decent level of digital assets so people know where to go if they hear about your product or brand. It means that at least, you should have a decent Facebook page, so that people can continue the engagement with the brand after seeing the viral marketing campaign. One hundred thousand likes are okay, but I suggest you spend the next two months building it up to around 300 to 400 thousand likes. This audience will also allow you to spread any viral marketing content that you will seed. Second, note that viral marketing is the hardest to mount amongst all digital marketing tactics. It assumes that while digital assets are stable and fully utilized, you should also invest in having a decent creative team to think of a brand story and message that you would want to communicate. Some viral marketing campaigns can be in the form of pictures or memes, and some utilizes email. The Philippines, being a video country, would by default, point towards viral videos as the viral marketing execution with the highest chance of success. Third, the virus, or the content of the video, should be compelling enough for people to share. These videos can be in the form of a spoof of a more popular video, or the use of a celebrity, or to showcase unique or strange talents. I would always tell my students in my e-Marketing classes, or my creative team, that for viral videos to succeed, it has to satisfy four major criteria. The first is that it should be credible. People should believe that the brand is capable of creating that video. The second is that, it should be unique. The best viral videos are new and fresh, and something that the audience has not seen before. The third is that it should be emotional. The viewers should be able to relate to the video and feel either happy or sad, angry or afraid. Finally, the video should tell a story, so people can easily share to their social feeds. Finally, once the video is created, what is critical is to use influencers to generate buzz and word of mouth. In the case of Magnum, they utilized celebrities to create buzz around the product. For the BPI Christopher Lao video, they utilized bloggers and news influencers to tell people about the video. Influencers and seeders are critical as they are the reasons why videos go viral, and if not used properly, intended viral videos, can end up just like any of the millions of videos on YouTube with only one view. While viral videos are quite challenging to execute, go ahead and have fun, and learn from the experience. Donald Lim is one of the Philippines’ digital marketing masters. 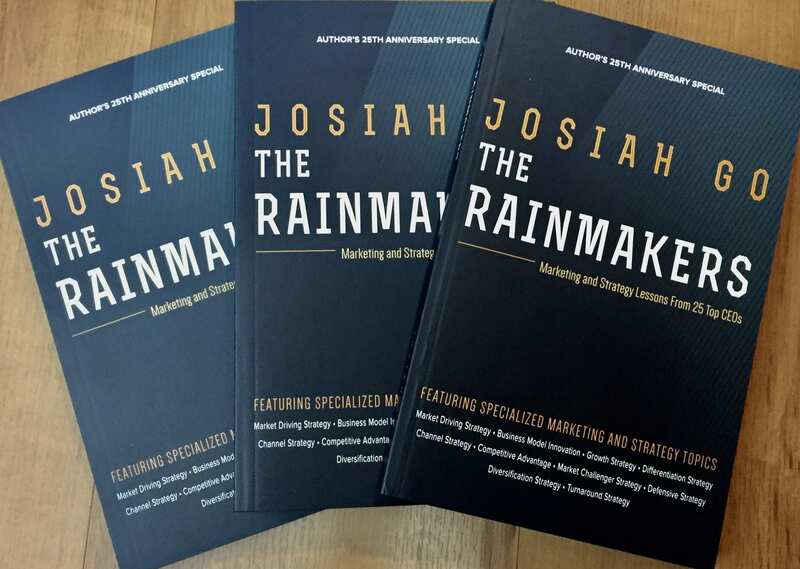 He is also the Chief e-Marketing Strategist of Mansmith and Fielders, Inc. (www.mansmith.net), the leading marketing and sales training company in the Philippines. Learn from him live in the 8th Viral Marketing Seminar on May 28, 2014. Connect with Mansmith, through info@mansmith.net, call us at (+63-2) 584-5858 / 412-0034 or text us at (+63) 918-81-168-88.